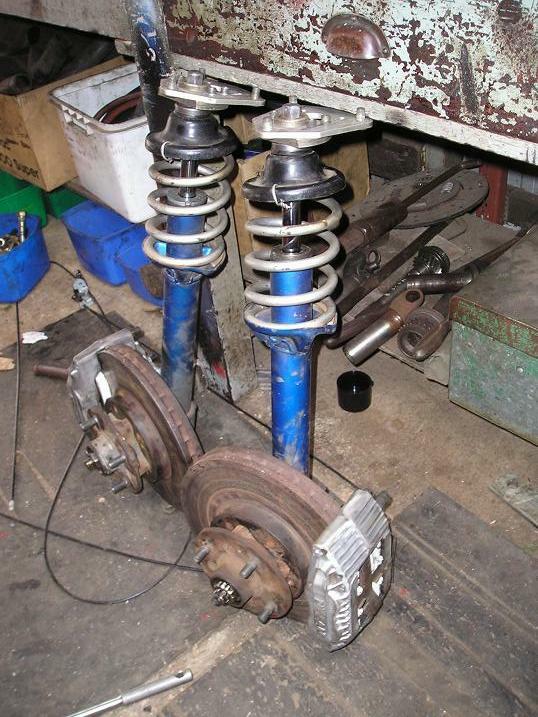 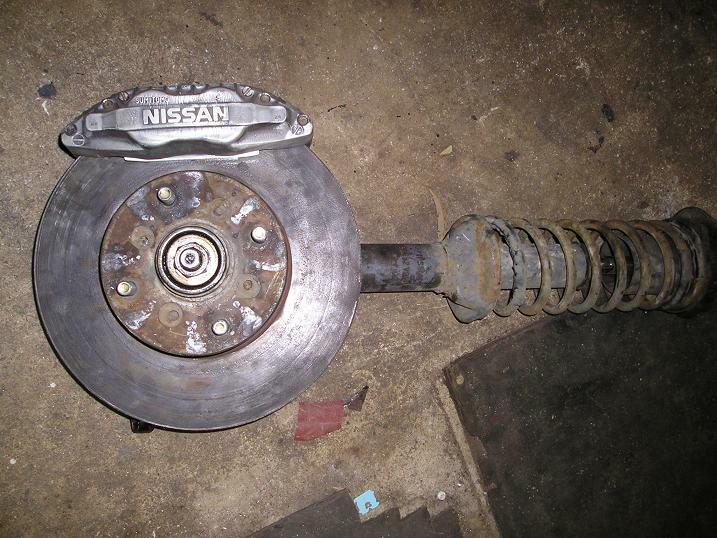 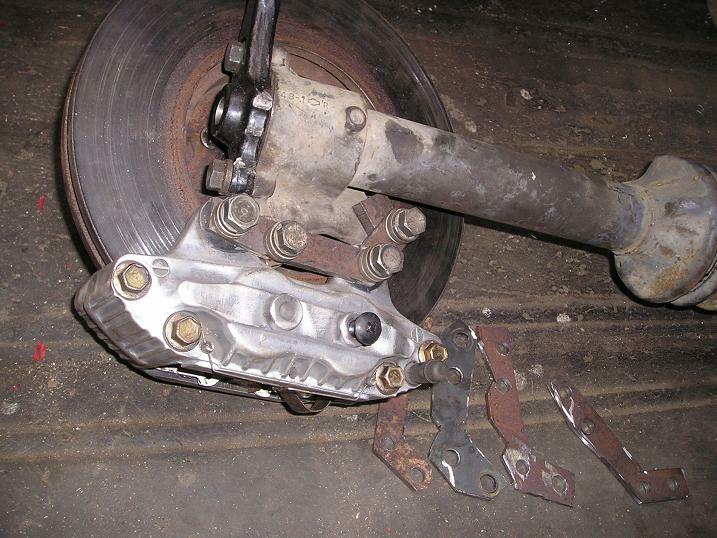 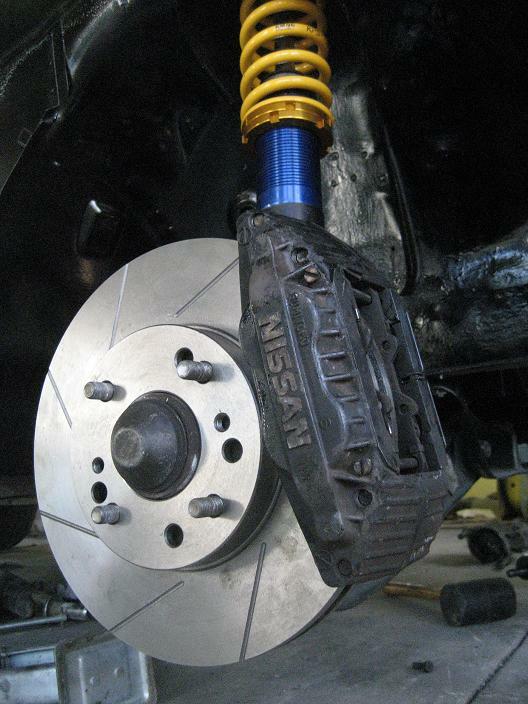 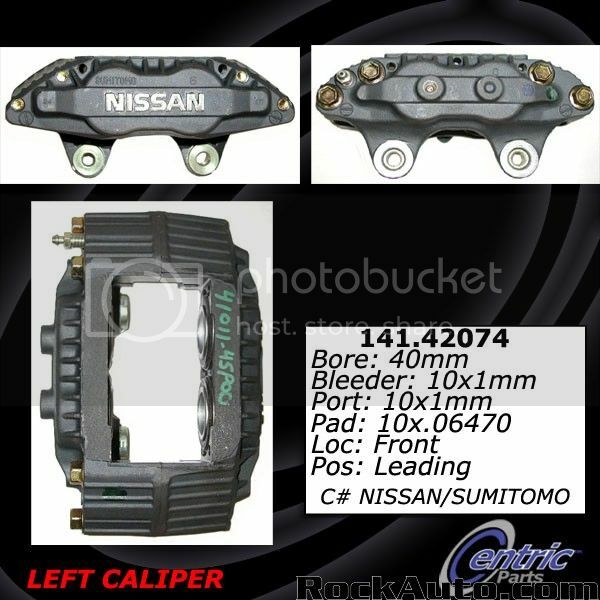 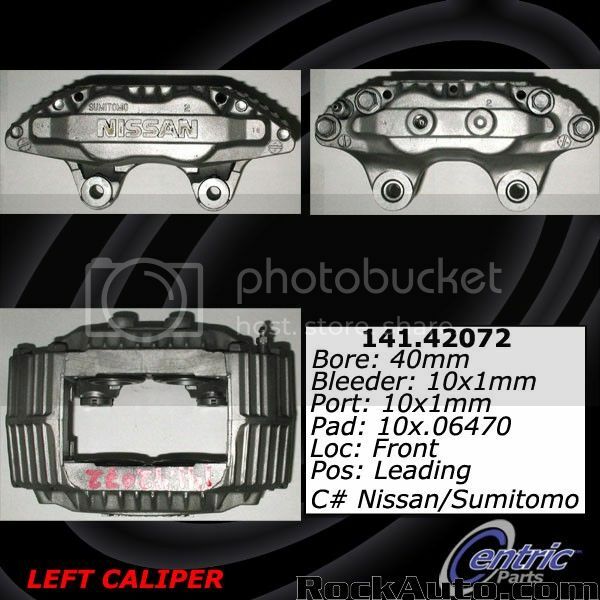 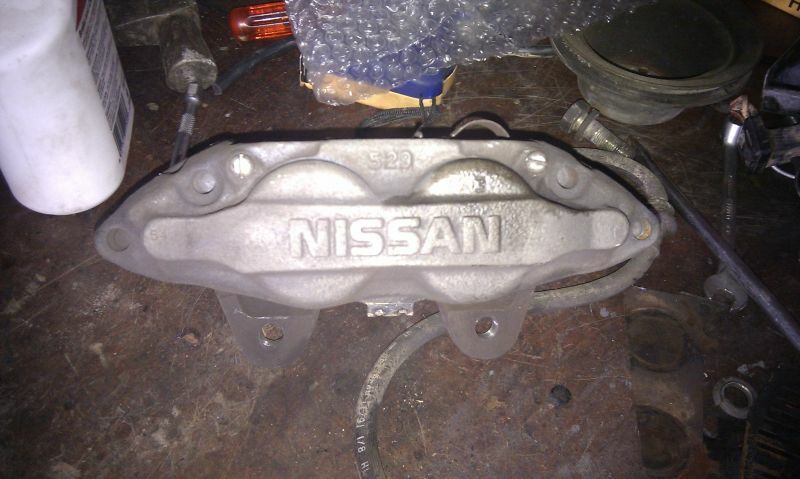 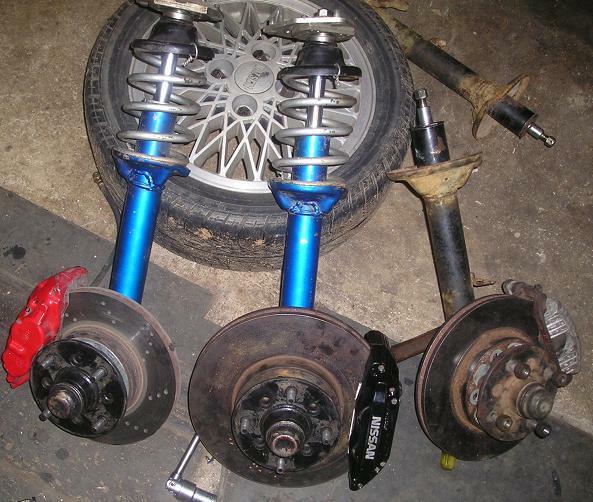 Nissan R32 used light alloy 4-piston brake calipers, but the really big R32 OPTION brakes used huge cast iron calipers. 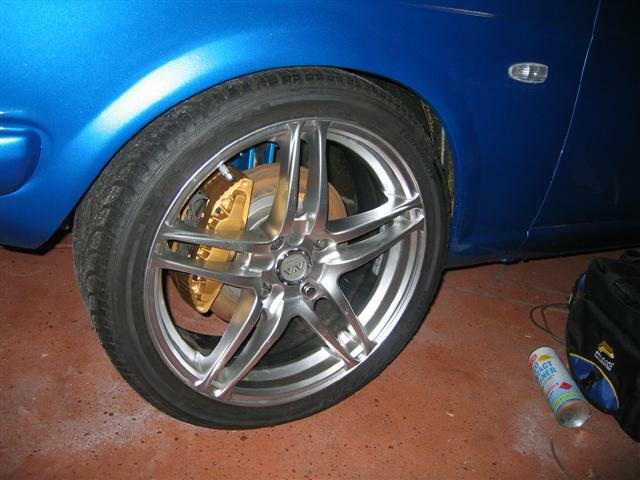 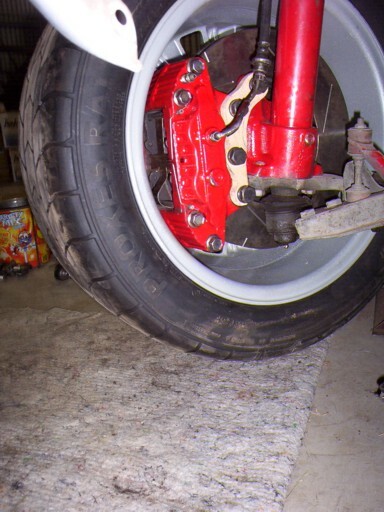 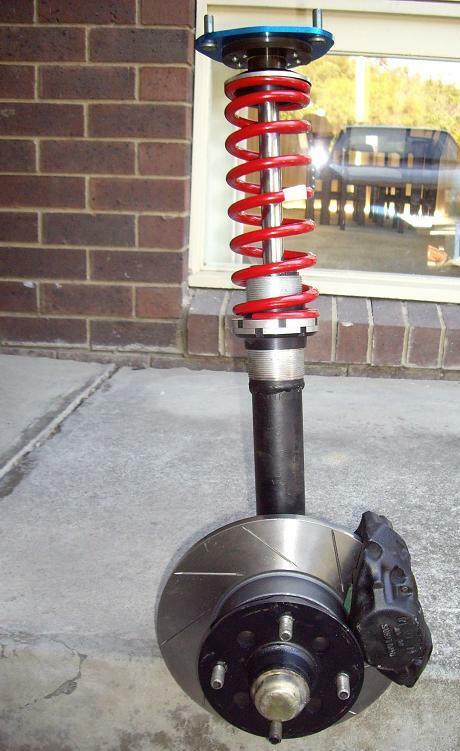 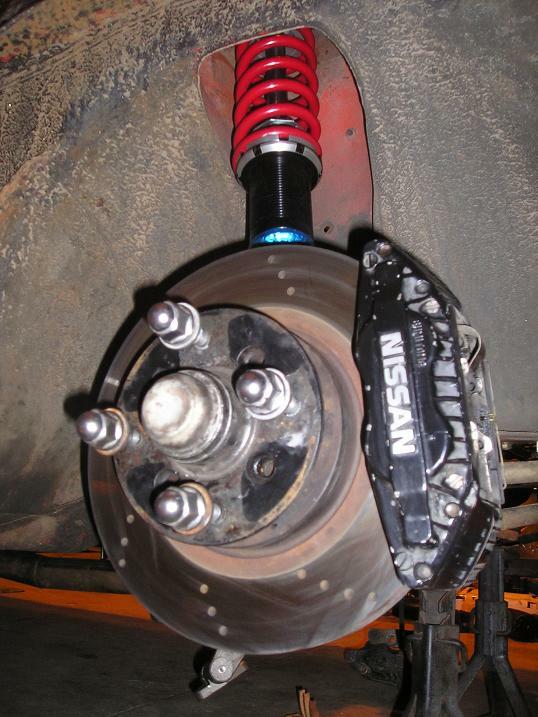 4-lug R32 used the same rotors as S13 Brakes while R32 turbo models used 5-lug rotors. 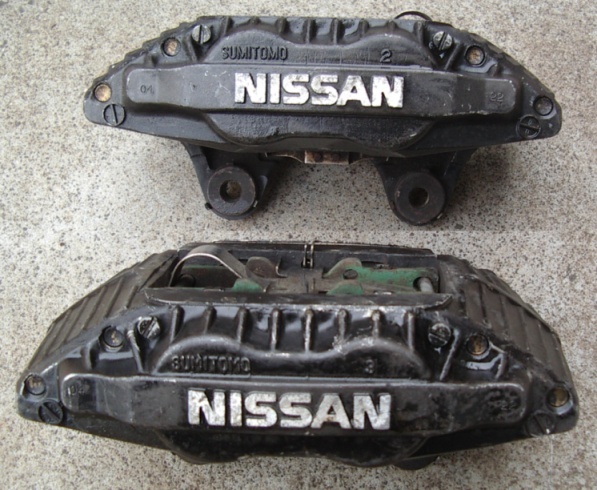 R32 is 1989-1994 Nissan Skyline (8905-9411). 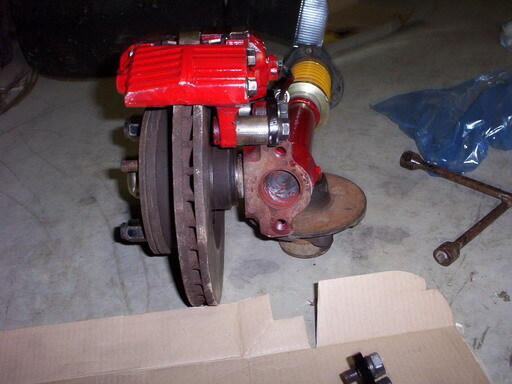 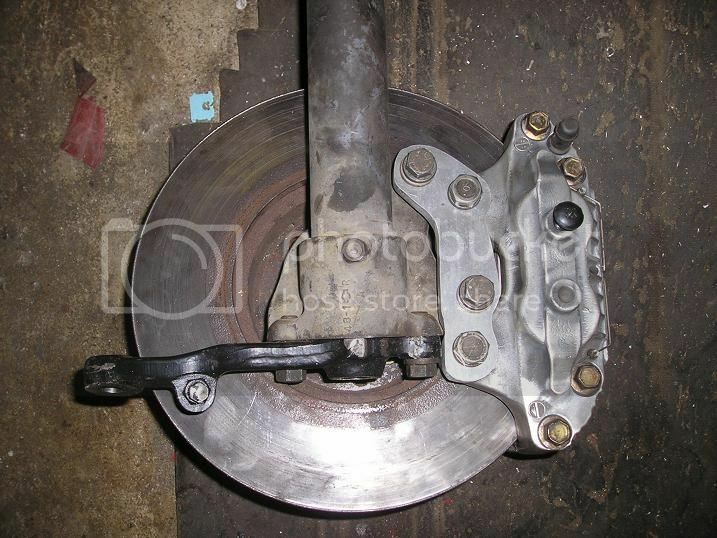 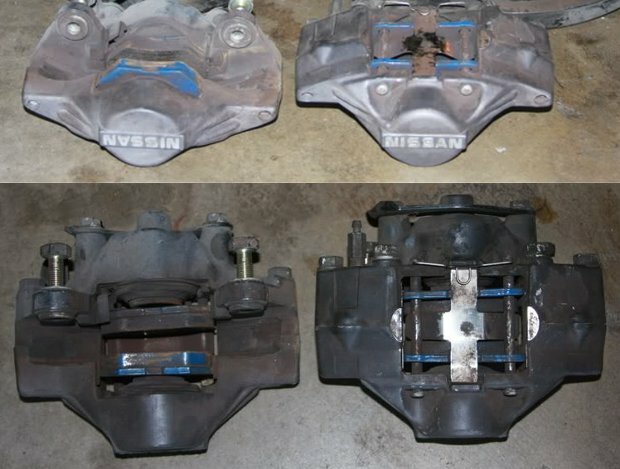 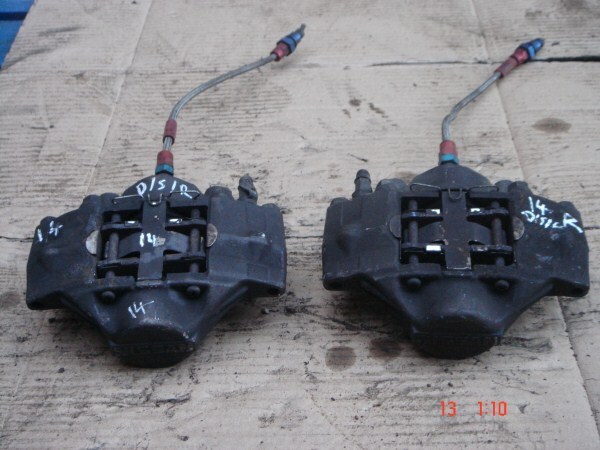 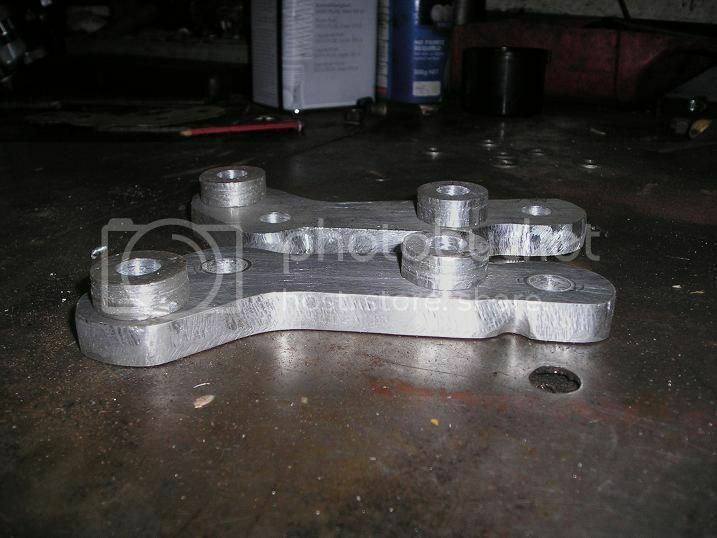 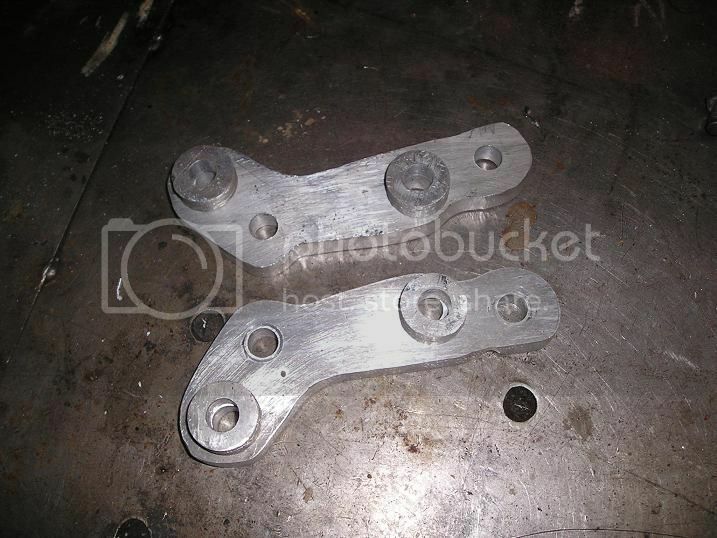 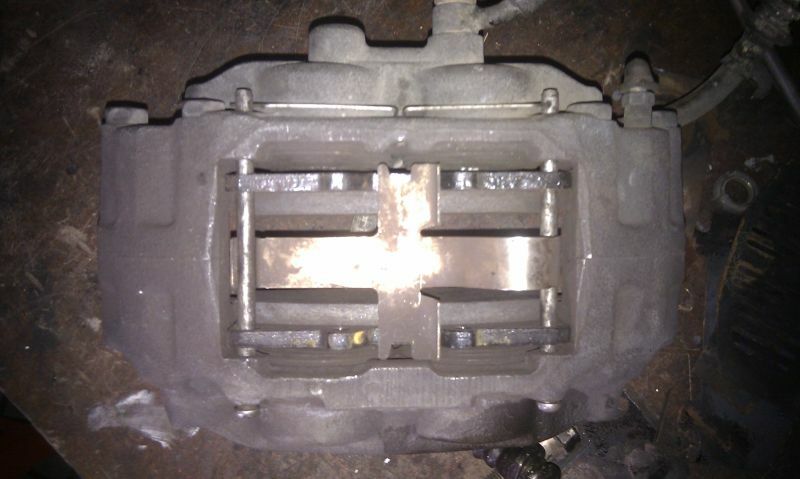 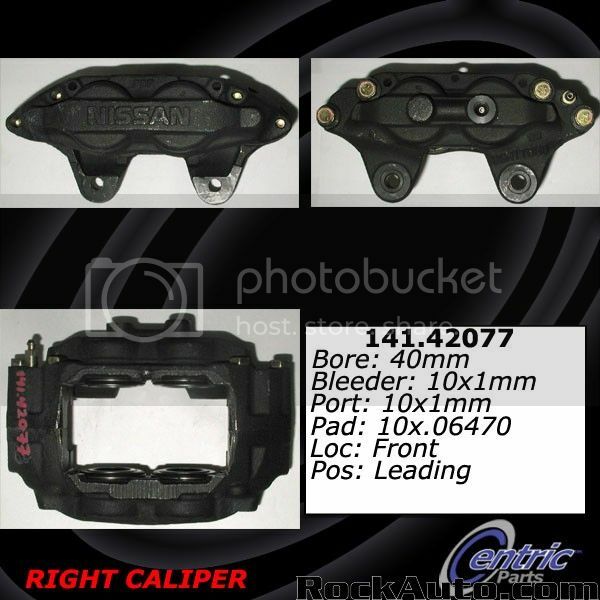 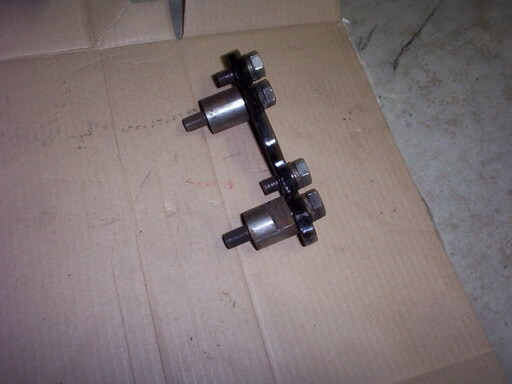 Rear caliper for either 1000 or 1200 race front brake conversion. 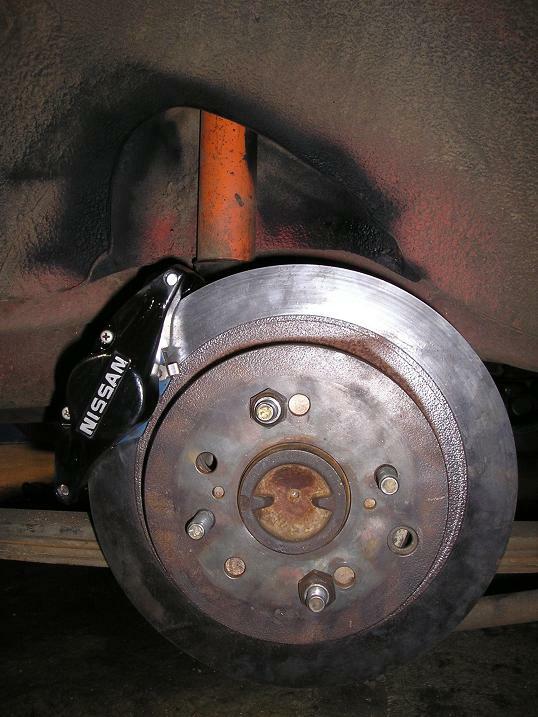 The rotors it uses are perhaps the lightest 297mm rotor around as its only 16mm thick or 3mm thicker than solid Sigma GE rotors. 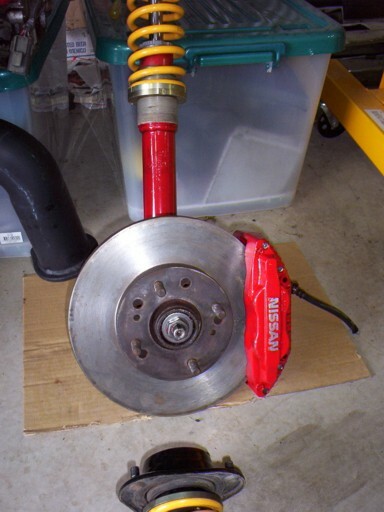 Hubs require machining: Machined down, center hole enlarged and 4 new holes drilled in rotor to bolt to rear of hub and 3mm spacer made for caliper spacing off strut.